Taking a trip to Cabo? If you ask around for recommendations, there's a 99 percent chance that almost everyone will say to make a reservation at Flora Farms. The restaurant may be off the beaten path (you literally have to drive up a dirt road to enter the property), but it's worth heading a bit outside of town to have experience this truly unique destination. Flora Farms is an actual organic farm. 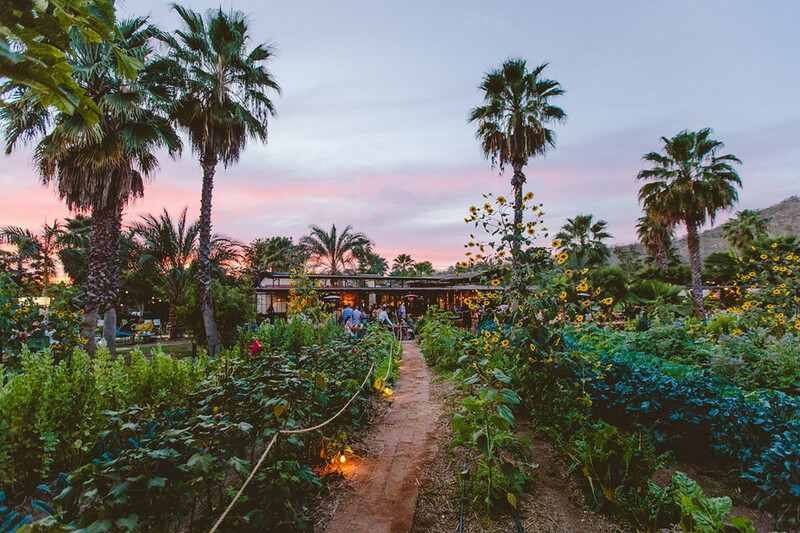 Throughout the grounds are gardens and well-tended plots full of produce that make it on to the menu at the Field Kitchen for breakfast, lunch, and dinner. From floral garnishes in the cocktails to the grains and veggies in every dish, everything from the farm and ranch is highlighted in the restaurant's delicious dishes. While the food is good (like really good), it's more than the bites that makes Flora Farms such a popular spot. It's an all-encompassing experience — even from the moment your car rattles up along the windy dusty road. 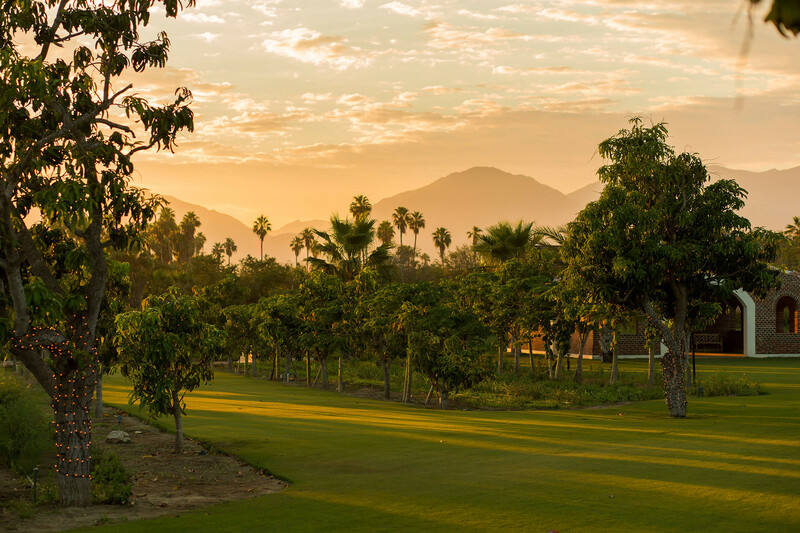 The grounds feel like a step into a private community that you are fully welcomed into. Founders Gloria and Patrick Greene, who opened up the farm back in 1996, have curated a great mix of locals and transplants to foster this warm environment. Whether they are tending the fields, baking fresh breads and pastries for the restaurant, or selling their own designs in the selection of specialty stores in front of the field kitchen, everyone seems to be passionate about the farm. The team not only serves up food, but also offers more experiences for visitors and locals to engage with the site. 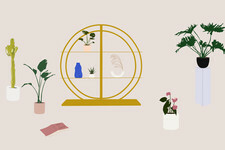 From cooking lessons, to painting classes with local artists, to medicinal plant tours of the grounds, Flora Farms wants to give a chance to get in touch with the property on a deeper level. There's also full selection of treatments and exercise classes at the on-site spa to let visitors get in a little bit of TLC on their visit. Of course, it's impossible to not mention that the farm is also bookable for private events. In fact, this top wedding destination was actually the site where Adam Levine and Behati Prinsloo tied the knot. Just add in twinkle lights, and the beautiful mango grove and barn become the ideal spot to dance the night away. While the restaurant is at the heart of Flora Farms, the property is also a home. It has almost 20 cottages and hayloft residences where owners get full access to the grounds and even have the opportunity to pick and use produce for their own kitchens. 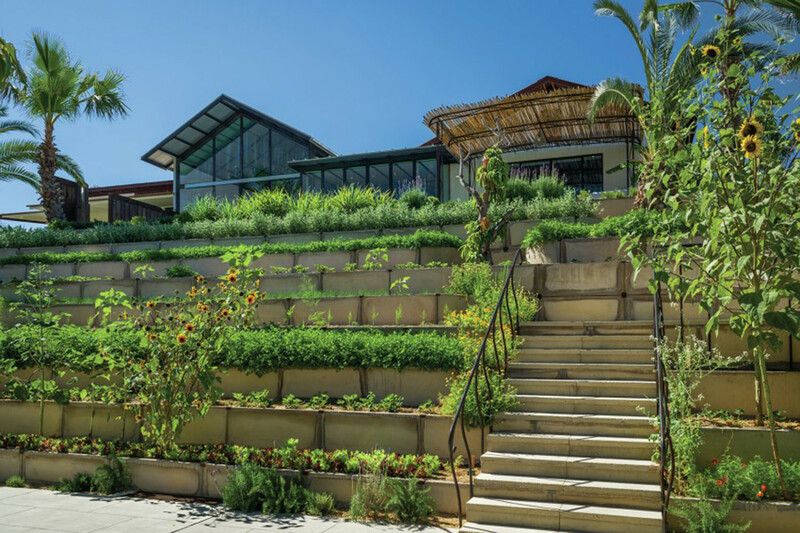 Integrated Design Studio has worked to create landscaping while Dorman Associates designed structures that make these luxury homes feel like a mix between "form, function, and soul." Perhaps the reason Flora Farms is so successful is its commitment to authenticity, sustainable farm-to-table practices, and creating a holistic experience for visitors. We are all searching for transparency and the farm provides just that. So we will be the one of many people who would recommend booking a table on your visit. Give yourself an extra few hours to take it all in.